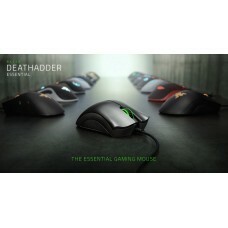 Since its first inception, the Razer DeathAdder continues to offer gamers the most comfortable gaming experience ever. Its contours and curves are perfectly designed to fit snugly under your palm, or control just as well with a claw-grip; while its two large main buttons offer the most effortless clicks to your fingers.The mouse is designed in a matte black finish that prevents sweat build-up and promotes better grip. 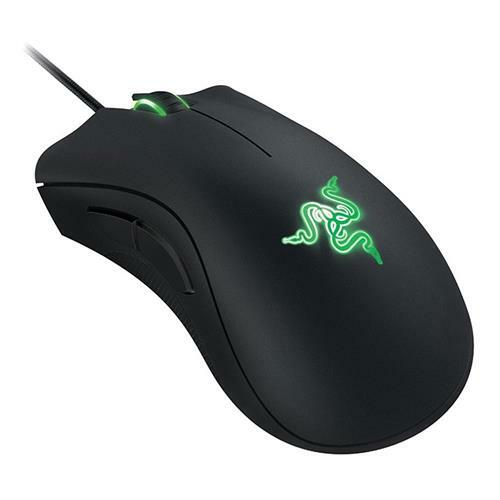 The Razer DeathAdder Classic is equipped with a 6400 DPI 4G optical sensor. It is capable of mouse movements of up to 200 inches per second and 50 g acceleration, meaning you can move it at either fast or slow speeds, and it will always respond onscreen with exacting accuracy and the organic fluidity only possible with optical sensor. The Razer DeathAdder Classic's sensor is also capable of tracking Z-axis to as low as 1 mm on most surfaces including glass table tops. This is perfect for low-sense gamers who can then set tracking to cut-off as soon as they lift their mice, ensuring consistent in-game control all the time. No other mouse clicks as sweetly as the Razer DeathAdder Classic. We spent hours designing the fulcrum over which the two large main buttons sit, with the perfect bounce back to your fingers – providing absolute assurance that you've actuated the switch beneath. The click force required is also extremely low so it's almost as if all it takes is you thinking it, to make the mouse respond instantly. Give the Razer DeathAdder Classic a go, and you'll click the difference.